Houston, Mar 31, 2014 (Global Fashion Wire) - TeKay Designs, a couture house based in Houston, brought the elegance and regalness of historic monarchs to fashion week in New York. 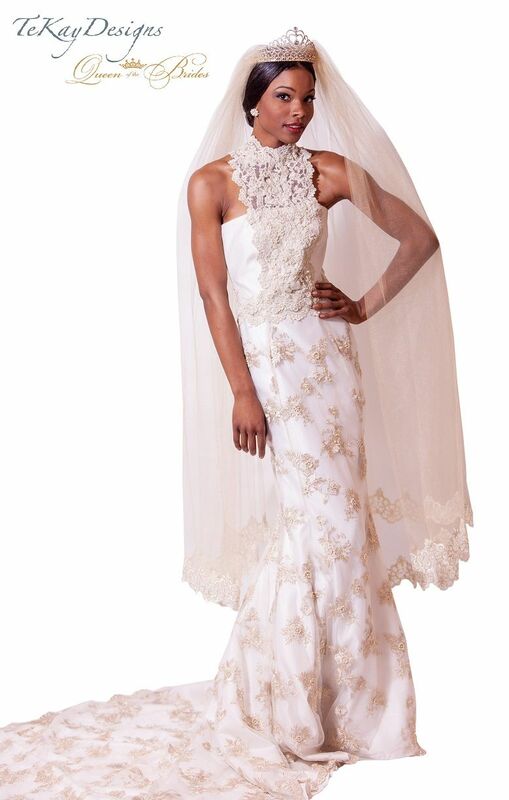 This season TeKay Designs presented Queen of the Brides, a collection of gowns with accessories that are historic and have a cultural significance. The design concepts are sophisticated shapes in luxury fabrics, textures and colors. The label's unique selection of bridal gowns caters to the bride who values culture and yearns to be unique. TeKay's show opened with an acoustic chorus sound track, chromatic luminance and a branded light projection. Diversity was applied to model selection as each model graced the catwalk with authoritarian elegance. While some gowns are accented with colorful embroidery, other gowns cast an angelic shimmer of beading as a decorative finish. The Queen of the Brides collection represents inspirational women of royalty from various cultures throughout history. The collection exemplifies cultures, as each gown represents a woman of royalty who has left an indelible mark on humanity. "Each season, new gowns are added to the collection. Women of royalty are represented from all over the globe through these gowns. Places such as Africa, Asia, Europe and the Middle East influenced the current collection. 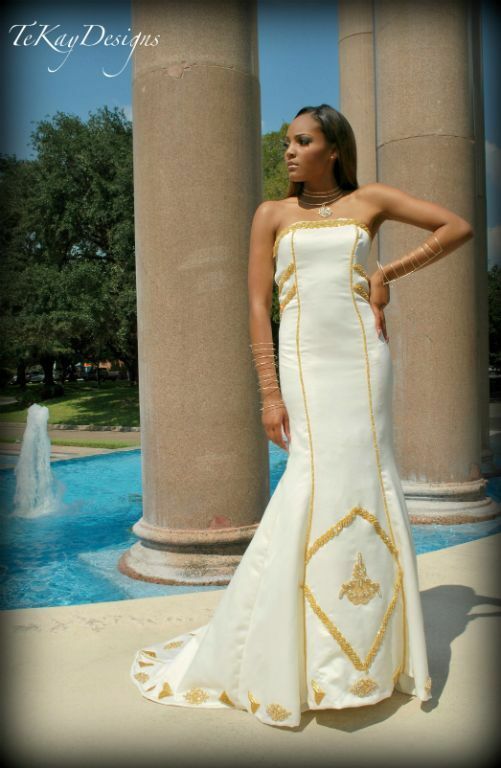 The gowns express cultural themes that resonate with many ethnic groups." states Kimma Wreh; the Fashion Designer and Creative Director for TeKay Designs. "This is why it was important for Queen of the Brides collection to be presented in New York City. New York is a melting pot of cultures and I am proud to present a bridal collection that acknowledges style aesthetics that many cultures have contributed to humanity." explains Kimma. TeKay Designs featured white gowns with gold or silver details, pearls, florals, and statement jewelry that complemented each look. The Queen of the Brides collection was accessorized for dramatization during the couture fashion show. However, each dress can be styled for a more contemporary look and accompanied with an optional matching brides maids dress. "This spring we are offering specials to brides who order matching bridal party dresses, gown accessories or statement jewelry pieces. We specialize in gown creations for themed weddings, and we have a reputation for creating custom fashions. We believe sharing cultural royalty is a significant way to pass on the legacy and heritage of family." explains Kimma.